Layer cheap plastic beads in cake pans (no lining required), melt at 400 degrees for 20 minutes. Let cool & then flip them out. 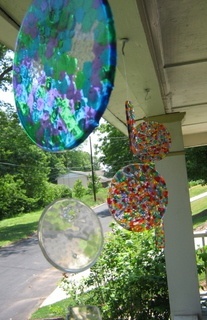 Drill a hole in it to make it a sun catcher.